I accepted call from my allied Muscovy to entered war against my rival France. 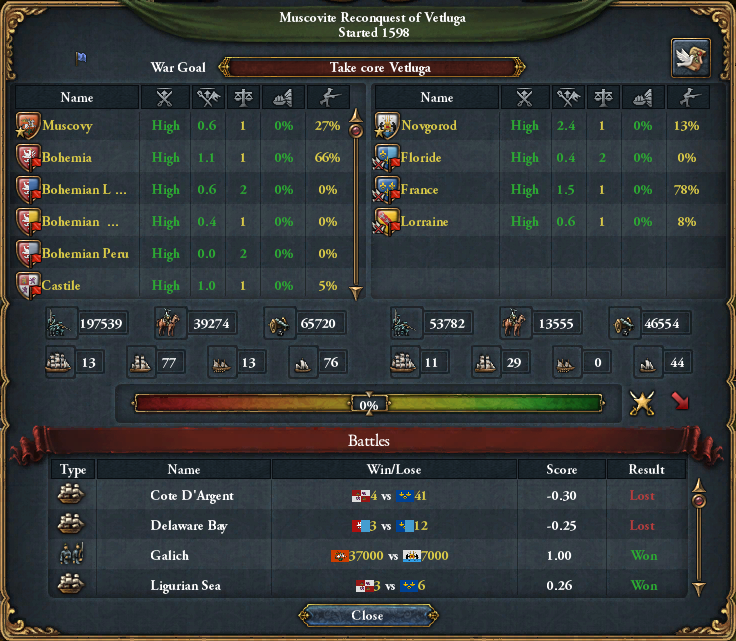 Our coalition (Me Czech, Spain, Muscowy and all our colonies) is much stronger than theirs (Novgorod,France, Lotrine). 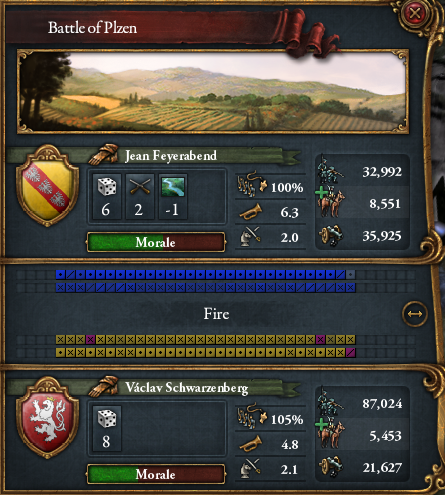 I have much more soldiers (120000 vs 80000) in the battle, we both have level 2 commanders and level 16 military tech, second line almost filled with cannons, yet I always loose. They attack me over the river. ... yet I always loose. I already tried to load and replay that huge battle in different situations (moving my army to different provinces) ... but result is always the same. Does is depend if I have one big stack, or several smaller (~20000 each) which enter the battle independently? 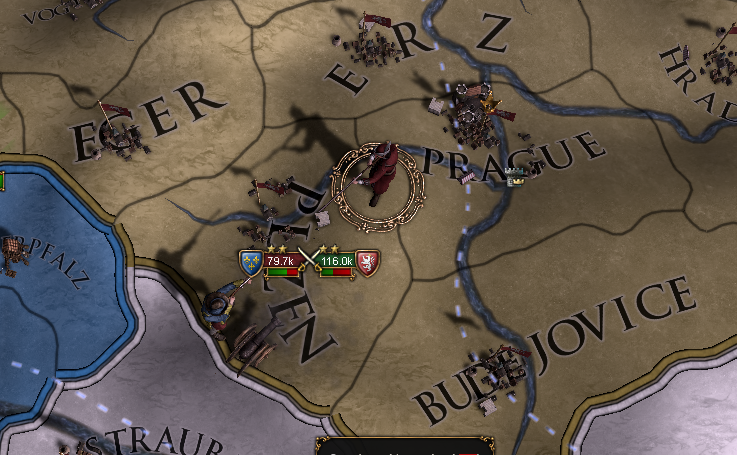 I have them in provinces around Prague to reduce attrition. Please explain me what I do wrong. If I form Germany, do I lose Prussia's cores? What good do colonies do for my domain? How do I explore unknown land (terra incognita)?